Call me #basic, but I REALLY love fall. There's something about the cooler weather and changing leaves that makes me yearn for paler skin, deep neutrals and dark jewel toned colors. I've purchased a few things so far this season and will be adding a couple more. I've already blogged about a couple of them but I figured I'd round them all up into one post. First off, the one thing I've STOPPED doing for fall is fake tanning. I still can't stop on my legs but that's just a hold over until it's cold enough to wear tights. I absolutely love the look of deep fall colors against pale skin so no more fake bake for me until spring! 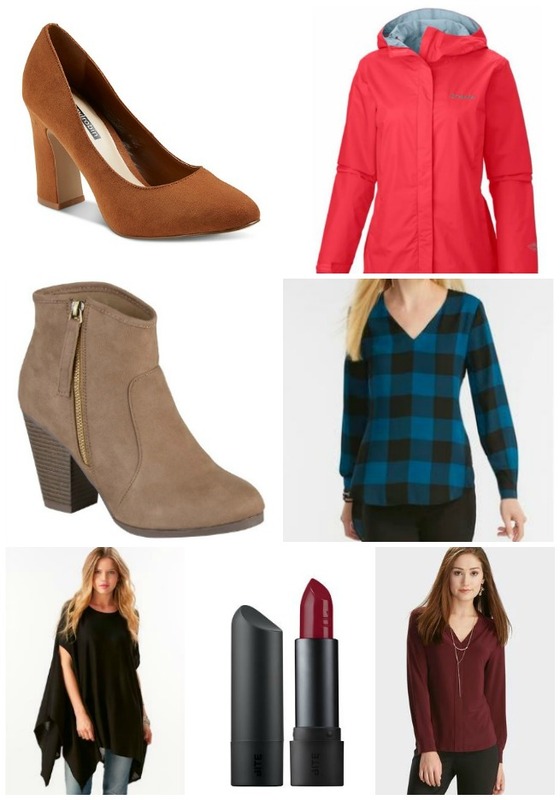 A few notes - I already am obsessed with the wine colored popover top. If they had it in any other colors I'd have already bought them. They only have this and black and I have something already almost identical to the black one. And I'm swooning over a chunky heel this season. Like dying. The end. Please let chunky heels never go out of style again. The end. I haven't bought any and likely won't as heels are no longer in my wheelhouse, but I like seeing the chunky heel again!